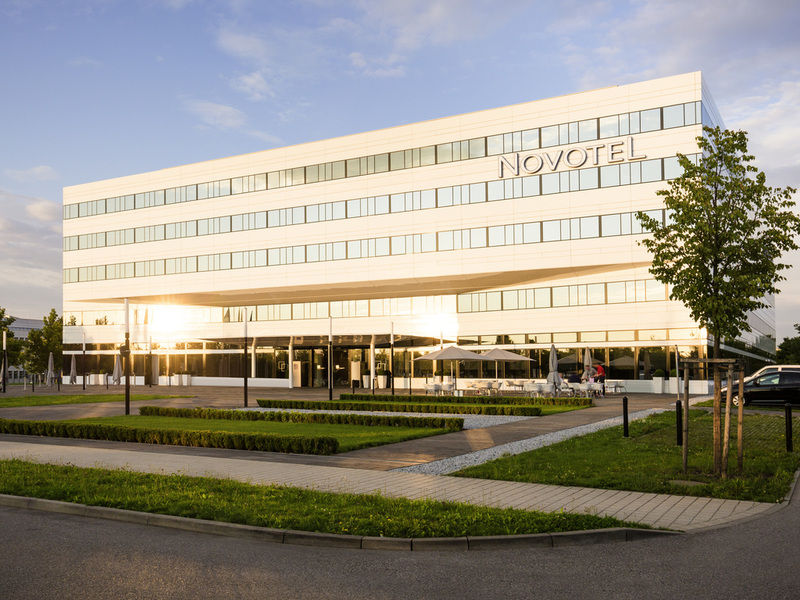 Hotel Novotel Munich Airport. Book your hotel in Munich now! Whether for lunch, dinner or a snack to keep you going - in our new gastronomy experience "THE FLAVE OF MUNICH," enjoy a relaxed atmosphere while we treat you to fresh, healthy dishes from the world's most flavorsome kitchens. "The Flave of Munich" is open daily from 10am until 10pm. You can enjoy delicious international specialties, which are freshly prepared in our front-of-house cooking station. In the hotel bar, we serve refreshing long drinks, delicious cocktails and delicious snacks in a modern setting every day from 10 a.m. to 0:30 a.m.- a nice place to work, relax or have good conversations. by checking in there was no one at the front desk and we had to wait few minutes for someone to arrive. by checking out is was even worse, when about 10 people were standing in line to check out, and only 1 person was there at the front desk to do the checking out. we waited more than 20 minutes till we could check out. Its so modern and new, there is so much space to work and the food is amazing. The gym fully equipped and the rooms are great too. We very much enjoyed our stay at Novotel Muenchen Airport. Food was excellent. Room was clean and comfortable. Only drawback was how long it took the room to cool down. Nice breakfast and overall nice rooms. The rooms were nice and the bed comfortable but it was very warm in the room, which made it a bit difficult to sleep. The breakfast was the best part of the stay. Stayed for 6 nights, visited on a business trip. Energetic breakfast from hotel. Peaceful stay in room, no disturbance. No toothpaste / soft tissues in toilet. All aspects were good. Checking in was quick, airport shuttle was explained, check-out was very quick. A nice greeting on arrival warm and courteous staff. I had 8 hours before departure and I had a good sleep before flight, comfy bed, cleanliness, valuable price. Novotel was a great hotel to stay at and very convenient to the airport. The people at the desk were very polite and helpful. The buffet at “The Flave” was very good as was the service. The room was very clean and comfortable. The bus to and from the airport was easy. Emergency booking after missing flight. Good bus connections to the airport terminals running every 20 mins and on-time at 5 am. Food good in the restaurant and complementary early breakfast before 6 am. It was pleasant with the exception of the sofa bed. You could feel the springs and it was difficult to sleep on. I did not expect to have to take a public bus to go to the airport as this was supposedly an &quot;airport hotel&quot;. This was not clearly stated on the web site. Further to that, the ¨early breakfast¨ option was also misleading. It was just bread and jam and coffee/tee. Had I known I would not have paid for a full breakfast. My flight was at 6:00 AM so I had to leave at 5:00 AM.